Having a milk bottle complexion is not easy I can tell you! I find most high street foundations make my face orange and don't match my neck, no matter how much I blend. Not even 'Ivory' shades are pale enough, Rimmel and Bourjois, I'm looking at you. I usually pick up MAC's Studio Fix in NW15 or NC15, both are a little too dark but I love the heavy coverage, so it's a compromise. Lucky MAC has released a few lighter shades to the Studio Fix collection. It comes in NW 10 and NW13. I use NW13 when I have a little more colour and NW10 when I am paler. 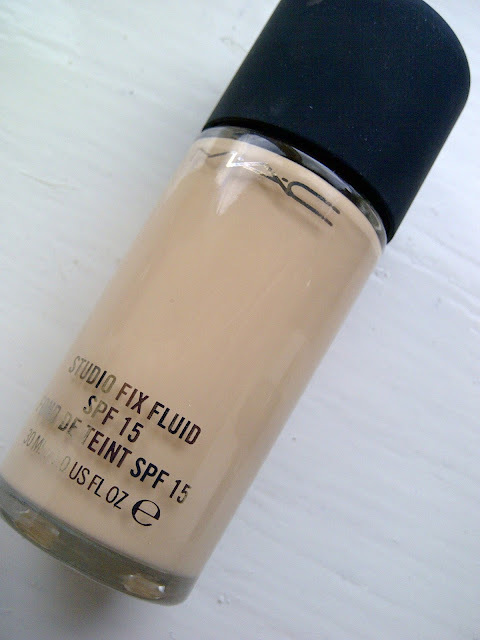 MAC Studio Fix is one of my most repurchased pieces of my make-up collection. It's a heavy coverage, I love this finish as I like to cover my dark acne scaring and the formulation stays put all day. 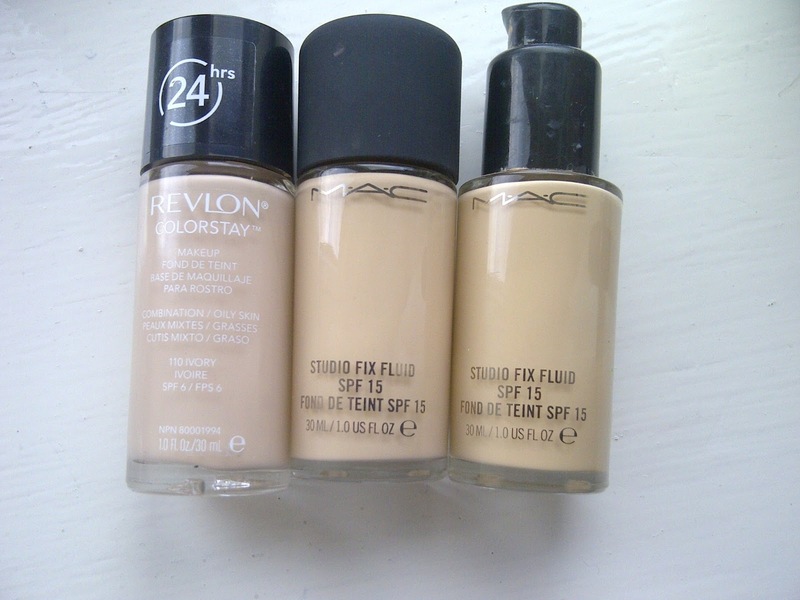 Here you can see the comparison between the lightest foundation I own, which is Revlon Colour Stay in Ivory, on the left, NW13 in the middle and the shade NC15 on the right. NW13 is only a touch lighter but honestly it makes a difference. What pale foundations do you like? I feel your pain, I always find it difficult to find a shade that suits me, I'll be heading to a mac counter soon! Oh gosh - going to have to hot foot it to Mac and check this out, I use NW15 currently but it does verge on too dark if I don't spend a bit of time buffing it in properly! Can I ask you a question? Does this make you break out? I've tried so many and they all do. Its really expensive and I hope it doesn't make my acne worse. getting the right colour is so hard - i am now trying a BB cream to see if thats any better. I swear by my Studio Fix in NW13. Why cant drugstore brands understand that there need to be more lighter shades for us pale skin girls! I got NW15 in prolongwear recently. Wish I'd known they now do paler. I'd definitely recommend getting some of the Body Shop shade adjusting drops. I've been using the white for a while now. 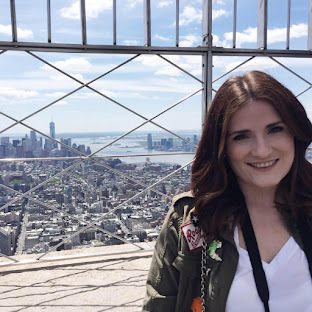 Rimmel actually have a great pale foundation in their Match Perfection Range, Illamasqua skin base and Vichy Dermablend are also favourites of mine.